The IISU-JOA Editors would like to extend an invitation to academicians, scholars and research scholars to contribute Research Articles, Comments/Research Notes, Review Articles and Book Reviews for the 2015 issue of The IIS University Journal of Arts, ISSN 2319-5339. Authors are requested to submit their manuscripts to the Editors at joa@iisuniv.ac.in latest by May 31, 2015. Kindly note, that there are NO PUBLICATION CHARGES for publishing a paper/article in the journal. Once published, a complimentary copy of the journal is provided to the contributor. We would like to request you to bring this announcement to the notice of your colleagues and fellow researchers so that they may also think of The IIS University Journal of Arts as a potential source for publication. 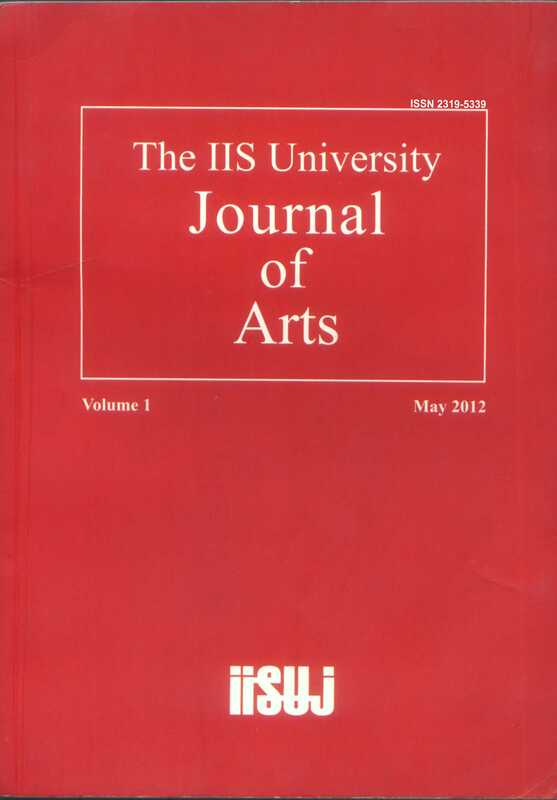 The IIS University Journal of Arts, published by The IIS University, provides a forum for an in-depth analysis of problems related to various disciplines in arts and also encourages scholarly dialogue on a broad range of topics within these disciplines: English literature and language, French, German, Hindi, fashion designing, jewellery designing, journalism and mass communication, performing arts, textile technology, and visual arts. The journal encourages inter-disciplinary articles that are accessible to a wider group of scholars. It also gives scope to Research Notes, Comments, Book Reviews and Review Articles.